Nearly every brand on the market has tried to crack the code of the Mommy blogger! Recently it seems we’ve moved on to target youth, the millennial, and even older adults, but have no fear, Mommy bloggers are still a force to be reckoned with! Women command 80 percent of, or $5 trilling in U.S. consumer spending power. By 2020, women are expected to have $22 trillion in global spending power. It’s imperative that brands looking to succeed in today’s market must fit into and help to improve the lives of women. Sometimes labeled as “Chief Health Officers,” moms are goal‐oriented family health managers that are active information seekers. Moms are known to pay more for food or health products that are backed by research and are perceived to contribute to the health and wellbeing of their families. Once engaged in a product, this group serves as influencers for other moms by passing along their knowledge and recommendations freely. How do we connect with them? The key phrase is “engaged correctly.” Like when targeting other audiences, brands need to create campaigns that build friendships with Moms specifically and find ways to integrate products into the lives of these women. Women, and moms, ultimately expect brands to treat them like their friends. They want branded experiences that prove a brands value proposition to be true. Brands that can be in touch while also being sensitive are likely to be the ones that moms and women will buy and be loyal to. Moms and women in general are very active on social networks. Eight out of ten (80 percent) use social media regularly, with 90 percent of those having visited Facebook in the past 30 days, and just over one‐ third (37 percent) using Twitter in that same period. Mothers are also very open to liaising with brands on social networks. More than 42 percent have made a purchase as a result of a recommendation on a social networking site. If engaged correctly, moms can be fantastic promoters of products and services, with more than half recommending companies and brands via social channels. Children have a major influence on consumers’ perspectives on personal health and the environment. When people become parents, particularly moms, they develop an emotional connection to investing in a better future through present‐day choices. Sites like thebump.com have online communities filled with soon-to-be or already are moms. With nearly 4 million births each year and nearly $50 billion being spent annually on babies and toddlers, this network allows moms to connect with like‐minded moms, experts and brands that can help them in their decision making process. Why should marketers be targeting moms? Moms specifically are 45 percent more likely to use social media and a whopping 3.9 million moms in the U.S. identify as bloggers. Across all cultures, blogging and the prevalence of “mommy blogs” represent a powerful outlet for moms to share their experiences as well as create a sense of digital community. By connecting with moms, brands can get a lifetime of loyalty and build brand evangelizers who will share information with others. Check out some of the top mom blogs. Whether it’s Facebook, Twitter, or LinkedIn, all company communications channels need to be continuously updated or refreshed with content on a regular basis. Without a content strategy behind each outreach channel, it’s likely that channels can fall to the wayside and become stagnant or over post an drive away followers. The concept of post frequency is a very important part of every communications plan. Channels with few or infrequent posts are likely to miss the mark with target audiences, yet too many posts can also annoy consumers and drive them away. How often is too often? While there is no cut and dry answer, here is some data that can serve as a jumping off point for posting frequency across social channels. Social Bakers studied three months’ worth of Facebook content from major brands and found that top brands average one post per day. As a general rule, Socialbakers found that posting once per week on Facebook was too low and posting more than twice per day was too much. The 2011 study found that the sweet spot is five to 10 posts per week. The catch is, this data was published prior to Facebook’s recent algorithm change. According to an Edgerank Checker study posted on the Moz blog one way to counteract the recent change might be to publish more frequently. Social Bakers also studied Twitter, taking a random sample of 11,000 Tweets from top brands. The study found that three Tweets per day is the point where brands start seeing higher levels of engagement. However, the life of a Tweet is short and as one might expect, each Tweet provides an opportunity to engage with consumers, so by tracking Twitter engagement per Tweet, brands can determine how many tweets are needed to reach the highest levels of interaction between the brand and its consumers. However, Track Social found that response per tweet peaks at five and then drops off – so, for Twitter, the sweet spot is 3-5 tweets per day. LinkedIn published a marketing report claiming that 20 posts per month was the ideal number of posts. As one might expect, there is more research on this topic for Facebook and Twitter than many of the other emerging networks. Here are a few other additional tips for LinkedIn users. It’s important to remember that the ultimate goal of communications across social channels is to strike a balance between being informative and annoying… engaging and overbearing. The line can be thin, so it’s essential for brands to continue experimenting and measuring. Armed with their own data, brands can continuously tailor post frequency and scheduling in order to improve consumer engagement across all outreach channels. We all know the famous quote, “If you build it, they will come.” Unfortunately, this just isn’t true when it comes to company websites. Websites are still an essential component of a company’s digital footprint, yet too often they fall short or are all together forgotten. A corporate website is an important part of any effective integrated marketing strategy and should exist in concert with social media profiles. Not replace social media or vice versa. Thanks to advanced programming protocols, while corporate websites can have their own standalone identity and purpose, they can also easily connect to a company’s social graph, allowing the website to be interactive sharable. Here are a few things to consider when designing, re-thinking or even upgrading a company’s web calling card. Search: More than 11.9 billion Google searches are done each month. Needless to say, companies that are not worried about search are missing out! The key to a successful digital campaign often starts with Search Engine Optimization or SEO. SEO can help make it easier for audiences to find a company online when using search engines, like Google. The goal is to find relevant, high traffic keywords for your business and by incorporating those keywords into web content, the site becomes more easily searched. Like with anything, the more work that is put into building and maintaining SEO, the more likely it is that it would be successful. The website Moz provides valuable resources on this topic. Responsive Design/Mobile viewing: Web traffic is increasingly being impacted by smartphones and tablet access. It is no longer a matter of whether to design for mobile access; it is a matter of how. Websites that feature responsive layouts changes based on the screen width of the device, offering consumers a consistent and clean experience no matter what device they choose to use. Responsible design is critical to deliver easy access to content for a variety of website visitors. Fellow blogger Kristi gives a great example of how TOMs is using responsive design responsibly. Integrate visuals, especially video: An effective social media marketer must tell stories that are worth sharing. Images and videos must come together to engage consumers and make a brand part of a community rather than someone just trying to sell a product. Video can also be added to external platforms such as YouTube to help maximize shareability and brand exposure. E-Commerce: In the U.S. Forrester is projecting online retail sales will reach $370 billion by 2017, up from $231 billion in 2013. Forrester also notes that online retail will continue to outpace the growth of physical retail stores. 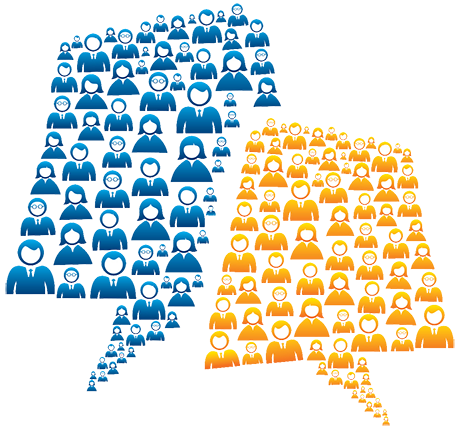 Web sites must integrated e-commerce so that they can help companies reach dual objectives of both communicating value and selling products. Continually changing content: Today, websites must include dynamic and/or frequently changing content. Dynamic websites almost always perform better in search and they are more engaging for consumers. This can include new articles, videos and even updating photos on a regular basis. If the content never changes, a consumer has no reason to visit the site time and time again. A website is an important part of any business and as marketers we need to treat it as such if we hope to be successful in any overarching marketing effort. What a resourceful infographic! How to crete perfect posts on social platforms. Emerging media provides countless ways for companies to push the boundaries when it comes to engaging and interacting with consumers. But, too often it’s much easier to talk about integrating social channels into marketing and communications campaigns than it is to actually do it. Unfortunately, sometimes emerging media is often added as an afterthought tactic rather than being used as a key campaign element. It’s important for brands to think about each medium and how it can be used as a communications vehicle to reach and engage key audiences. After all, social media isn’t just about the size of a fan base, but rather about how interactive those fans are. These three companies can serve as examples of how to use emerging media mediums to create campaigns that generated extremely high consumer impact. The campaign instantly went viral, generating a lot of buzz about the launch of the new store without any high budget campaign. Over a two-week period, showroom images were uploaded to a Facebook photo album and using the “tag” feature, customers were able to locate items in the pictures and put their name on them. The first person to tag an object got to take it home… for free. Word of mouth conversations generated by the campaign engaged thousands and thousands of Facebook users, who willingly promoted IKEA to their social networks. Since 2009, the brand has continued to take some different approaches to engaging fans using Facebook. The UK Ikea hosted an in-store sleepover in response to a Facebook fan group called ‘I wanna have a sleepover in Ikea’ and Australian couple got married in an IKEA wedding witnessed by their friends, family and 80 random Facebook fans who secured an invite through IKEA’s Facebook page. Pinterest & CB2: Home décor chain CB2 turned online home design daydreams into reality with APT CB2, a five-day event in which five popular Pinterest designers decorated one real-world apartment with the real-time input from the Pinterest community. The campaign happened live on Pinterest and a microsite, which was updated every 15 to 30 minutes with photos from the apartment. Pinterest, as a platform, connects well with the brand given that it is a forum for collaboration, experimentation, and getting people to play with design at home. In this campaign, CB2 relinquished some brand control to the “Pinfluencers” or influential Pinterest users. When combined, their own posts, along with those of CB2, helped to build an authentic and honest brand voice as well as further extend dissemination of the brand’s message. According to BBDO New York, roughly a week following launch, the campaign had already generated 28,000 mentions across social media. #Lowesfixinsix was able to strike a perfect balance between brand promotion and consumer usefulness. Additionally, according to Lowe’s CMO Tom Lamb, “What consumer behavior is forcing us to do is learn to be incredibly concise.” These two points – finding balance and being brief – perfectly summarize the challenges and opportunities that are facing modern brands today when they turn to emerging social media tools, like Vine, for promotions. Social media platforms can be catalysts for people (and brands) to present their best selves. IKEA, CB2 and Lowe’s have stretched emerging media channels beyond tactical add-ons. They have proved that, if used correctly, emerging media can be an effective marketing tool, helping the brands to quickly, and efficiently, educate consumers while making content that is shareable and fun to watch. Reward good work. LUSH, a fresh handmade cosmetics company in North America spearheaded a recognition program that builds on the company philosophy of employee interaction and volunteerism. Using a program called Kudos, LUSH encourages employees to reward each other for good work. Each staff member is given 50 points a month that they can use to reward each other with. In addition, LUSH team leaders have a larger pool of points to give out so that they can reward staff for positive things that they see each day. Employees can earn points by exemplifying LUSH values or for great customer feedback, leading by example, learning skills in new areas, perfect attendance, and random acts of kindness. Once received, the employee can exchange Kudos points for chocolate bars, movie tickets, gift cards, and even a big reward: a day off with pay. The goal of the program is to encourage staff to live in LUSH core values, participate in volunteer opportunities and find ways to thank each other each day. Invest in employee wellbeing. A little goes a long way when it comes to showing employees how much they are appreciated. Zappos celebrates with impromptu happy hours, free t-shirts and props emails, and Starbucks employees receive free coffee and are given the opportunity for flexible work schedules that fit around their other commitments. As described above LUSH uses Kudos points and fitness company Lululemon Athletica, offers goal setting and encourages free fitness through local gym partnerships. In each instance, the company takes an interest in its employee wellbeing and encourages them to live company values both in and out of the office. Engage employees in building the brand mission and company culture. Create a sense of shared ownership in the goals of the company, and focus on using employee experience and feedback to improve products/services and customer service. Seventh Generation, a green cleaning company, included employees in both setting goals and accountability for achieving them. In 2012, a group of Seventh Generation employees came together to help simplify the company mission into four aspirational principles: Nurturing Nature, Transforming Commerce, Enhancing Health and Building Communities. The principles help to provide year-to-year goals and business plans across all company units and is used as the road map for long term company planning. In addition, the company launched an Annual Incentive Program that tied annual bonuses to company sustainability goals. This was done to help to insure that the company could measure and reward employees that stood for the core corporate values. It also created interest, pride and ownership from employees in the core company mission. Cheer on Volunteerism. There is a recent trend of companies offering volunteer opportunities and incorporating those opportunities into the company mission. LUSH, Seventh Generation and New Belgium Brewing Company are only a few examples of companies who have volunteerism baked into their corporate culture – offering benefits to those employees who volunteer their time within the local community. The outdoor clothing manufacturer Patagonia has also been successful in building a loyal employee base for not only the laid-back work environment of the company, but also the emphasis the company places on social and environmental causes. Through the Patagonia Employee Internship Program, employees can take paid leave for up to one month to intern with environmental organizations around the world. Employees are not only the face of a company, they ARE the company… from internal culture to consumer engagement and brand image. Employees are the most trusted source of information for customers, so it’s vital that a company’s employees are encouraged to participate in nearly every aspect of company communications – just think of all the great employee social content that could be generated via the suggestions above. The return on investment for the positive online buzz generated from employee social media or from being named one of the “Best Places to Work” may not be as clear-cut as measuring ad value, but the benefits can be extraordinary. When employees love their job, it shows, and the ripple effect of that honest and organic company love can be greater than any pre-planned marketing campaign. Dads have always played an integral role in their kids’ lives, but until just recently, it didn’t seem like marketers and advertisers were aware of that role or of the buying power that Dads have as it relates to household decisions. Recent census figures show that Dads are spending more time at home with the kids and in 1/3 of U.S. homes, Dads are the primary caregiver. During the recent recession three men out of every woman lost their jobs, spurring some men to take on the role of stay-at-home dad. While women still currently make more of the purchasing decisions when it comes to household products, stay-at-home dads now take a close second. Overall, fathers are participating more in childcare and household chores. According to a recent survey more than half of men between the ages of 18 to 64 said that they identify themselves as the primary shopper in their household; however, only 22% to 24% feel that the packaged goods were actually being marketed to them specially – a key insight and opportunity for marketers! Dads are also a growing force in terms of the social media and blogging world. A similar phenomena as mommy blogs and blogger networks were a few years ago, dads have begun to create and share family-related content online. A recent study from Edelman and the Parenting group looks at what dads are doing on social networks. The most popular activity seems to be posting family-related status updates, which 27% of online dads do daily. They’re also sharing visual content fairly regularly, with nearly 44% posting family-related photos at least weekly, and 25% post family-related videos at least weekly. Additionally, the Dad 2.0 Summit provides the forum for an open conversation about the commercial power of digital dads. The Summit gives dad bloggers an unprecedented opportunity to meaningfully connect with world-class brands and provides dad bloggers with the opportunity to learn tools and tactics used by influential bloggers to create high-quality content, build personal brands, and develop business ideas. If brands want to connect with dads, they need to move beyond the beer-drinking, grill master stereotype. Much like women, men want to be valued for their role as caregivers and role models. They want brands to respect them as such. Recent ads from Tide, Dove Men + Care, and a few car brands are starting to turn the tides when it comes to dad-vertizing, but there is still big opportunity here. By integrating tactics targeting this group into a communications and marketing mix could help brands break through the clutter, differentiate themselves and help to get noticed by a growing target market—a group that we celebrate this weekend—Dads! To my dad… and so many others! 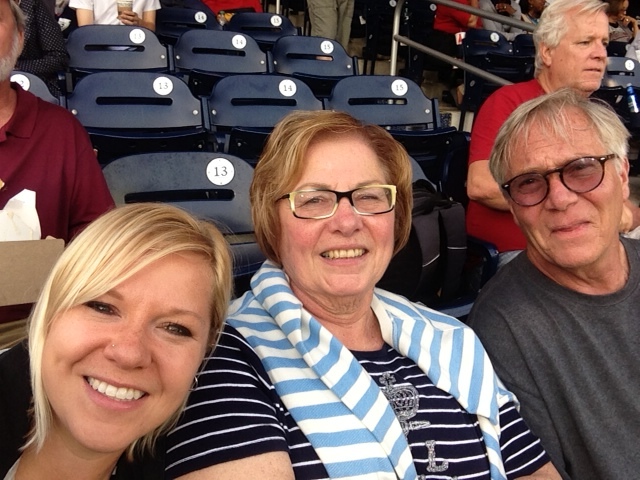 Never underestimate the power of the #selfie! The self-centered picture phenomenon, also known as the ‘selfie’, is a fun way to connect with friends but some have taken it to a whole new level. It was a selfie that led to the arrest of burglar Ashley Keast after he celebrated by taking a picture of himself with a phone he stole from the property, then accidentally sent it to the victim’s contacts. 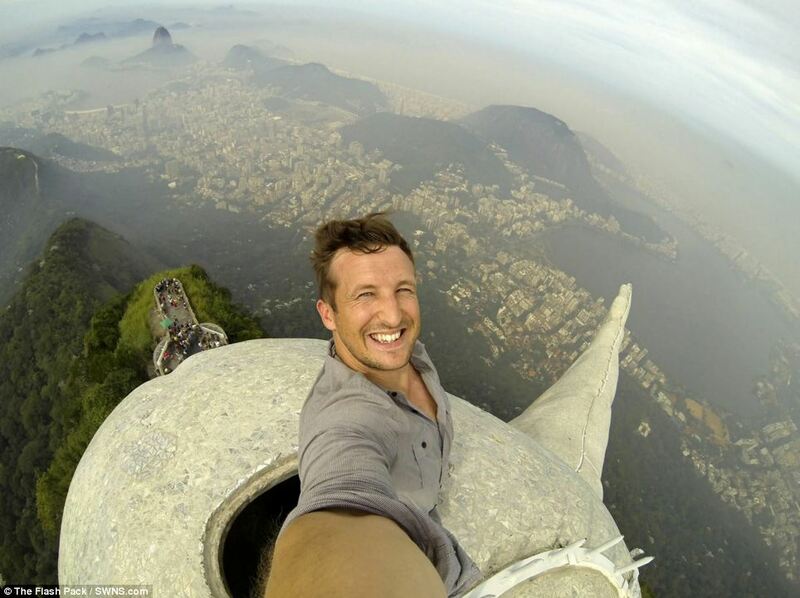 One of the latest trending selfie’s is of Lee Thompson who posed at the top of the 124-foot Christ The Redeemer statue in Rio de Janeiro. “To some, taking pictures of yourself is considered vain, but this once-in-a-lifetime opportunity taught me that the selfie is a powerful medium through which we can share our perspectives, inspirations and personal stories with the world at large,” said Thompson. Everybody Talks… Everybody Talks… Everybody Talks So Much! More than three billion brand mentions occur in nearly 4.5 billion conversations, every day in the United States. More than 65 percent of the U.S. economy is driven by Word of Mouth. Personal recommendations are the #1 driver of consumer purchase decisions across multiple product categories. This provides a lot of opportunities for brands to be publically praised (or shamed) among circles of consumers. So what is this organic method of sharing brand information, recommendations, suggestions, feedback etc? Word of Mouth… and, it’s here to stay. Word of Mouth or WOM, is the most influential element driving purchase decisions today and social media is helping it to continue growing. Like with the concept of “social proof,” consumers often (and sometimes even unknowingly) look to their social circles for product suggestions, and reviews. Humans trust the suggestions of other humans. Consumers want to be friends with brands. The golden ticket is building a real relationship between the consumer and the brand. It’s this personal connection that will lead to true WOM. Friends and family are key motivators for purchase decisions, even more than experts. Off-line engagement through events and product trials can be just as effective as online engagement. WOM happens in offline and online conversations – there is power and value in both. Listen. Listen. Listen. By listening to ongoing conversations, posts and news media about the brand and brand-related topics, marketers can be more effective in integrating their brand, company or product into relevant and meaningful conversations. Build the WOM tactic into every singly marketing strategy from advertising to digital to PR – get people talking. Utilize influencers to tell epic stories. Consumer storytellers will advocate for a brand in a better way than any advertisement. Praise fans and followers who share their negative thoughts. Constructive feedback can help a company to fix a problem, better understand a consumer perspective or in the end, build an even better product. Engage employees! A workforce that shares a sense of purpose can lead engagement. Some of the most successful brands have involved employees in helping to forward the brand message. People who love what they do tend to speak highly about the companies they work for. Need more tips? WordofMouth.org provides an ongoing list of how to positively use WOM. The Word of Mouth Marketing Association (WOMMA) is also a great resource in terms of learning more about WOM and WOMM. This inforgraphic from WOMMA further illustrates the importance of WOM. As the industry continues to evolve, WOM will continue to grow… giving companies and brands even more opportunities to leverage all that talking that everybody does, and turn it into a competitive advantage.